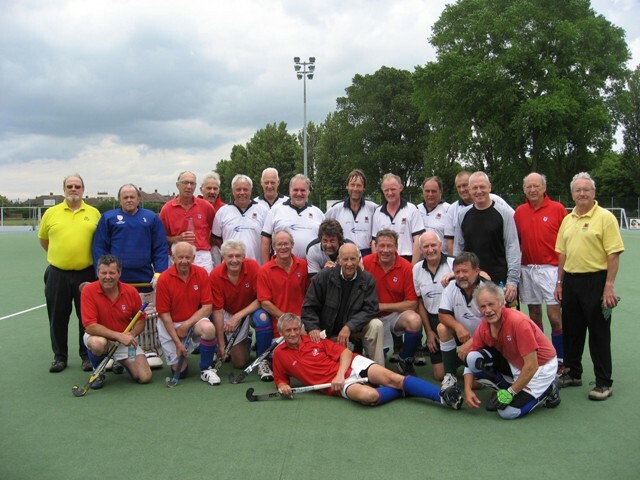 This game, organised jointly by Peter Ross and John Davey twice a year, lived up to its reputation as always being very enjoyable and closely contested as in previous fixtures. LX Club started excellently, with Brian Tubb, confidently playing at centre half, distributing passes with accuracy, to feed the eager LX forwards. Both Tom Darlington and the elusive David Brampton hit several good shots, which were well saved by the Havant keeper. However, Havant slowly got back into the game and the resolute John Longden and the resilient John Truman, the latter playing for the first time in a year, had to tenaciously defend on the left side of defence. It was against the run of play when Alec Heygate for the opposition, who fell after striking a fierce shot, which was well saved by Tim Pollard, but Chris Telling, following up, struck the ball over the fallen forward to put Havant 1-0 ahead. Alan Jackson, playing skilfully with strong running, gave Peter Ross on the right wing good opportunities, and LX went close to scoring on several occasions. After half time and playing up the slope LX had even more possession and Tom Darlington and Adrian Money had good shots well saved by the opposition goalkeeper. However, a brilliant LX move eventually brought a well deserved goal; Brian Tubb passed to the tireless John Widgery, enabling the irrepressible Peter Ross to sprint down the right wing, then Alan Jackson, with excellent dribbling skills, threaded his way across the top of the circle, and Tom Darlington, as cool as ever, positioned by the opposition’s right post, received a precise pass to score. The game was settling into a deserved 1-1 draw, when a penalty corner was awarded to Havant. The ball was cleared, but was struck back into LX’s circle, where Clive Lloyd for Havant, in the left wing slot on the right LX goal post, tapped in a simple goal to give the home team a 2-1 win in the final minute. After the game both teams adjoined to the Clubhouse, to once again enjoy Mary Davey’s famous steak and ale pie. There was a rumour of a John Davey pie this year, but this was allegedly vetoed by the LX team! Thanks go to the two umpires, John Silver and Colin Herbert, the Havant Vets team for their superb hospitality, and again to Mary Davey and Anthea Ross for the food, with help from Wendy Jackson, plus John Davey who unfortunately could not play due to a virus possibly picked up in Barcelona, and Peter Ross for organising once again this very enjoyable fixture. Team: Tim Pollard, David Read, John Truman, John Widgery, Brian Tubb, John Longden, Peter Ross (Capt. ), Alan Jackson, David Brampton, Adrian Money, Tom Darlington.